Vanessa Strickland - Actor/Artist/Puppeteer: The Commedia Pinnochio opens next Saturday! 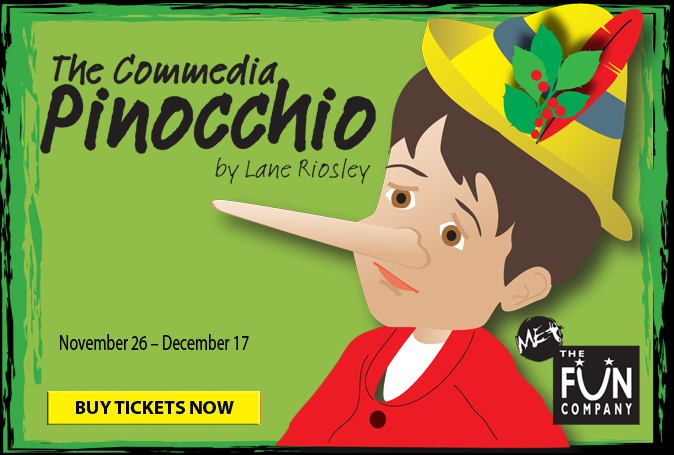 The Commedia Pinnochio opens next Saturday! Taking my nose off the grindstone for a moment here to let you all know my next show, "The Commedia Pinocchio" opens next Saturday, November 26th at 2pm at the Maryland Ensemble Theatre. You can order your tickets online or call the MET box office at 301-694-4744. The show runs Saturdays & Sundays, Nov. 26th through Dec. 17th at 2pm. All performances take place at the Maryland Ensemble Theatre, 31 W. Patrick Street, Frederick, MD. Parking is available on the street (metered on Saturdays, but free on Sundays), and in the Court Street Garage across from the theatre. Also, you may have noticed a new banner across the top of the blog! Yep, I got new headshots from the awesome Johnny Shryock. You can see the rest of my shots by clicking on "Headshots" on the navigation bar up top.